The Mets continue to impress by salvaging at least one win per series. If they can continue to win at least one out of every three, they are almost guaranteed to stay ahead of the cellar-dwelling Nationals. Keep fighting, men! Though the season is over for most of the Mets fan base, it’s just beginning for Nelson Figueroa. He made the most of his opportunity in Chicago, pulling off perhaps the best start of his Major League career. Figgy struck out 10, walked 2, and allowed only 6 hits and 1 earned run in 7 innings. Meanwhile, the Mets made mincemeat out of Carlos Zambrano, pummeling him for 4 runs and 11 hits in only 3 1/1 innings of work. Strangely enough, the Mets basically singled him to death — Anderson Hernandez’s run-scoring triple in the fourth was the only extra-base hit of the afternoon. Brian Stokes pitched a perfect eighth and Frankie Fantastic earned his 28th save of the season with a scoreless ninth. Figueroa also had an RBI single, scoring the fourth run of the ballgame. 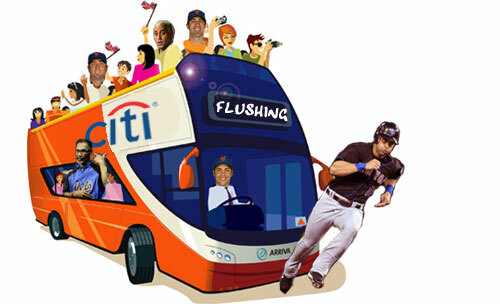 Figgy became the only Mets pitcher not named Santana to strike out 10 in a game this season. Former Cub Angel Pagan was 3-for-5 with a run scored and his 12th stolen base. Luis Castillo was the only other Met with more than one hit; he was 2-for-5 but struck out twice — unusual for him. After Zambrano left the game, the Mets mustered only one hit the rest of the way against four Cub relievers. The Mets get a well-deserved day off on Monday, then meet the Rockies in Colorado on Tuesday night. Mike Pelfrey starts for the Mets, no word yet on the Colorado hurler. Game time is 8:40 PM EST. Is Angel Pagan for Real? Through 151 plate appearances, Angel Pagan is hitting .305 with 2 HR, 7 doubles, 7 triples, 18 RBI, 8 SB, and a .344 OBP. His defense in centerfield has for the most part been very good, and his aggressive, all-out approach to the game has been inspiring. No doubt, he’s been a catalyst at the top of the lineup, jump-starting rallies and providing excitement for the fans. Now, the million-dollar question: can he keep it up? Fueled by the support of screaming, sugar-filled children, the Mets delivered an overwhelming win to the Camp Day crowd. The Mets offense exploded for five runs in the first two frames against starter and loser Kyle Lohse, then tacked on another four in the sixth and eighth innings to make it a laugher. Nelson Figueroa, who came on to pitch after Jonathan Niese injured his ankle in the second, earned the win and redeemed himself with a stellar 4 1/3 innings of shutout relief. Bobby Parnell earned a rare 3-inning save, striking out 3 and allowing only one hit. Parnell is now tied with Frankie Rodriguez for the team lead in saves since the All-Star break. Angel Pagan and David Wright combined to go 6-for-8 with 3 runs and 6 RBI. Pagan had a booming homerun to centerfield and ripped his 7th triple of the year. Despite a paltry 146 times to the plate, only one man in MLB has more triples than Pagan — Michael Bourn, who has 9 in 451 plate appearances. Who needs Jose Reyes and Carlos Beltran when you have Angel Pagan? Parnell and Figueroa were a combined 2-for-2 with 2 RBI and 2 runs scored. Rick Ankiel had a difficult time in centerfield during that second-inning offensive outburst by the Mets. He made a diving attempt for a blast by Nelson Figueroa but the ball missed his glove and resulted in a triple — nearly a quadruple, in fact. (Jim Edmonds would’ve had that ball, BTW.) Minutes later he misplayed a low liner off the bat of Angel Pagan, with his glove fingers up instead of down, allowing Figgy to score and Pagan to reach first. And moments after that, Pagan challenged him by going first to third on a David Wright single. Ankiel, I think, had a great shot to nail Pagan, but he hesitated and then took a long windup before unleashing his throw, which was a little too late. The Mets fly cross-country to face the Padres in San Diego for a four-game series. Livan Hernandez faces Clayton Richard in the opener, which begins at 10:05 PM EST on Thursday night. It was only a week ago that Omar Minaya claimed the Mets to be “buyers” rather than “sellers” but that was as much hogwash then as it is now. The Mets have 11 more losses than the NL East-leading Phillies and are 7 1/2 games out of the Wild Card with 65 games to play. Mathmetically, yes, they have a chance to reach the postseason. Realistically, though, it’s not likely. With four days before the trading deadline, it’s time to see where the Mets can cut their losses and bring in some talent for 2010. Unfortunately, the list of trade bait is pretty short. “Pedro Lite” is one of the most sought-after lefthanded relievers right now, in a mix with Joe Beimel, George Sherrill, and John Grabow. But how much will a pennant-starved team give up for a LOOGY? Would it be more than an A-ball suspect or AA filler material? The Mets may be better off holding on to Feliciano, who is showing no signs of slowing down. Teams need pitching, and are willing to part with talent in return for quality arms. The question is, do other teams consider Green a quality arm? His stock has fallen due to a terrible first half and the fact that his performace drops considerably with overuse. The White Sox recently gave up a slugging first base prospect to pry Tony Pena from the Diamondbacks, and Pena was in the midst of a similarly down season. But, Pena is 27 and has a better track record. Can the Mets obtain a decent player for the 30-year-old Green? It’s worth trying. After a horrible 2008, Castillo is in line for Comeback Player of the Year, and currently sizzling at the plate. There are a few pennant-contending clubs who might be in the market for a second baseman, most notably the White Sox, Twins, and Cubs. The Rockies and Giants might also have room for Castillo’s .400 OBP. However, there is the issue of Castillo’s unbearable contract, which still has two years and $12M remaining after this season. The Mets would certainly have to eat all or most of that money to get anything of value in return — much like the Red Sox’ dumping of Julio Lugo for Chris Duncan. If the Mets are willing to continue paying Castillo, they might be able to get a prospect or two. For example, the Giants have a switch-hitting second baseman in AA named Brock Bond who is an on-base machine like Castillo, but is already 24 and has no power and only average speed — though, Mets fans would get excited over his currently .350 batting average (he’s projected to be a Jeff Keppinger / Brendan Ryan utility type of guy). The White Sox have some intriguing pitchers at AA and a big young catcher named Tyler Flowers, who was caught with PEDs in 2007 but has done well without them — whether they’d give him up for Castillo, though, is another story. Most likely, the Mets can get a mix of A and AA borderline prospects — similar to what they gave up to get him back in 2007. In two weeks, Livan went from nearly getting booted from the rotation to emerging as their second-best starter. Everyone always needs pitching, but would anyone give up anything of value for Hernandez — particularly since he projects as a #5 on any contending club? I know, I know — he’s one of the few exciting and dependable players the Mets have in the lineup right now. But he’s also most likely playing the best baseball he’ll ever play in his life — so it may be a good time to “sell high” (i.e., like when the Mets traded Tsuyoshi Shinjo and Desi Relaford). 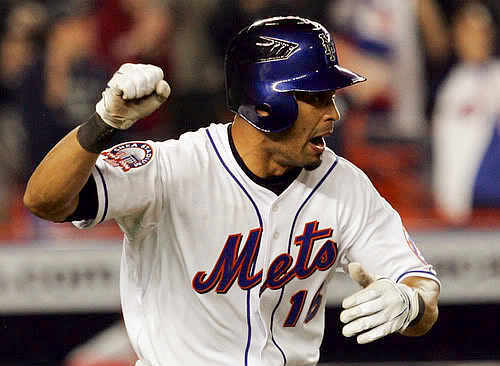 With Carlos Beltran presumably coming back for 2010 and 2011, Pagan’s value to the Mets is diminished. The Tigers and White Sox could be trolling for an outfielder with Pagan’s skillset, and if he can bring back something of value, it’s worth exploring. On the other hand, if you believe Beltran’s knee woes are only beginning, then it makes sense to hold on tight to Pagan, and pencil him into centerfield for next season — because there are no centerfield prospects in the Mets’ minor league system ready to step in. I’m not seeing it. Schneider is a fairly solid defensive catcher with occasional pop, but what is a contending team going to give up for two-month rental who can’t beat out Omir Santos for a starting job? The Mets would get MAYBE an A-ball suspect, and then we’d have Robinson Cancel back in Flushing. He can’t go anywhere as long as he’s on the DL. If he passes through waivers in August, maybe the Mets can get a AAA guy who was once a prospect but now a suspect. I keep looking at the Mets’ roster and seeing nothing of value to other teams — a frightening parallel to their minor league system. Veterans not mentioned, such as Fernando Tatis, Tim Redding, Alex Cora, Cory Sullivan, Brian Stokes, and Jeremy Reed are all key contributors on this fourth-place team, but to a contending club they are basically worthless — other organizations have similar talent stocked at AAA, so why trade for it? More disconcerting, even if the Mets are able to pull off a few trades, will they get anything worthwhile in return? Consider this: the last time the Mets held a fire sale was July 2003, when they unloaded Jeromy Burnitz, Roberto Alomar, Rey Sanchez, Graeme Lloyd, and Armando Benitez — you can argue that those players were as or more more valuable then, than what the Mets have to offer now. The total return on those trades? Jeremy Hill, Jason Anderson, Kenny Kelly, Royce Ring, Victor Diaz, Kole Strayhorn, Joselo Diaz, Edwin Almonte, Andrew Salvo, Anderson Garcia and Ryan Bicondoa. Victor Diaz and Ring made minor contributions, and the rest never made it to Flushing. No need to panic — not one Mets player went down with an injury in the past 24 hours. Perhaps the most significant injury to affect the Mets occurred to an opponent — red-hot Raul Ibanez has been placed on the 15-day disabled list with a strained groin. According to reports, Ibanez suffered the injury slipping down some 42-year-old blogger’s mother’s basement steps. Ibanez has been a one-man wrecking crew for the Phillies, and in addition to getting his bat out of the lineup, this injury could cool off his steaming hot streak. Let’s hope he falls back to Earth when he returns from the DL. John Maine is not progressing as quickly as we’d like. His shoulder is still weak and he’s feeling a pinch. Angel Pagan could return to the club in less than two weeks. But if Jeremy Reed can’t find at-bats –even when the team is playing with a DH — how will Pagan? Billy Wagner could be throwing to batters shortly. If nothing else can be salvaged from this season, it could be incredibly fun to watch a September bullpen that includes Wagner, J.J. Putz, and K-Rod. Talk about shortening the game. Carlos Delgado, Jose Reyes, and J.J. Putz remain out indefinitely, with no news to report. Though, it should be noted that Delgado, like Wagner, was transferred to the 60-day DL on June 5th. Does this mean the sixty days go back to the original date they were placed on the 15-day DL, or do you count the sixty days from June 5th? If it’s the latter, that means both players are eligible to return on August 4th. I *think* the counting goes back to the first date of inactivity, and if anyone can find a link confirming this theory, please post it in the comments. And I know you’re hanging on the edge of your seat wondering when Ramon Martinez will return, but he, too, is in a holding pattern with his dislocated pinky. Angel, Watch Out for that Bus! The Mets’ front office is really cooking with gas now! Hot off the heels of the Casey Fossum pickup, the team has now added Cory Sullivan to their outfield, signing the 29-year-old to a $600,000 contract that includes another $300,000 in incentives. Obviously I can’t contain my excitement … especially when this signing comes so close after the Fossum deal. The Bisons are starting to look like a real AAA team — one that might actually provide competent support during the year in the event of injuries to players on the big club’s 25-man roster. It does seem strange, though, that the Mets would scoop up another light-hitting, good fielding, centerfielder who hits from the left side. Endy Chavez was surplus last year, and the Mets already have Angel Pagan and Jeremy Reed signed to guaranteed MLB contracts, not to mention Marlon Anderson. Oh, and there’s Jason Cooper and Rule 5 (minor league phase) pick Carl Loadenthal, and the imminent arrival of Fernando Martinez. Considering that neither Carlos Beltran nor Ryan Church will ever be taken out of games for defensive purposes, all these Endy types are overkill, no? You can only put in one player at a time to play left field, after all. FYI, Sullivan’s career: 355 games, 927 ABs, 8 HR, 78 RBI, 25 SB, .279 AVG., .330 OBP, .391 SLG. He does have the reputation of being a very good fielder, though the sabermetrics don’t necessarily support it. The only way this signing makes sense is if it is a small part of something bigger brewing. For example, maybe the Mets are about to ship Ryan Church and Daniel Murphy to Colorado for Aaron Cook or Jeff Francis, and will then sign Adam Dunn and Manny Ramirez to play the corners — both of whom WOULD require late-inning defensive replacements. Pipe dream, I know, but dreams are about all we Mets have left at this point in the Hot Stove season. Can the Mets Make a Deal? It’s less than a month before spring training, and the Mets still need a frontline, #2 / #3 type starter; middle relief help; starting rotation depth; and a legitimate left fielder (who ideally bats with power from the right side). They also have a question at second base and might have interest in upgrading the catching position — though those issues are not nearly as dire as the others. If you hear it from Omar Minaya, however, the only question is the starting pitching. Whether he’s lying through his teeth or not is up for debate, but his public opinion is that the middle relief will be handled by one of the rule 5 picks and Sean Green; the starting pitching depth is covered by Jon Niese and Bobby Parnell; and he’s very comfortable with Fernando Tatis and Dan Murphy in left field. The reality is that, if he truly believes what he says, then the Mets are likely to finish in third … or fourth place. The Phillies, Braves, and Marlins all will be competitive in ’09, and the Mets as currently assembled do not look head and shoulders above any of them. They could tip the scales their way with the acquisition of a big bat and a solid starter, and there’s still time to do so. However, it appears that neither of those acquisitions will come through free agency. It’s interesting to see the media and fans clamoring for the return of Oliver Perez — only months ago, many of these same people couldn’t see the inconsistent Ollie flee fast enough. That said, the idea that Perez is the “frontline” starter the Mets need is somewhat amusing. But hey, he’s the best left of a sorry lot, and if the Mets can re-sign him, then that one hole is filled. But if they don’t, what is their recourse? The latest rumor suggests that Ben Sheets is the answer. Sheets does have frontline skills, but would the Mets want to add another health risk to a rotation filled with question marks? The next-best option after Sheets is Jon Garland, who is a nice innings-eater but at best a #4. Conversely, the big bat the Mets need has been staring them in the face all winter: Manny Ramirez. For whatever reason, though, they continue to resist making an offer to the best righthanded hitter in the universe. After Manny, no options exist; the only other righthanded-hitting outfielders of consequence are Andruw Jones, Jay Payton, Jonny Gomes, and Kevin Millar (though, Moises Alou has not yet officially retired). Like Manny, the Mets have shown no interest in any of these players. Maybe the Mets sign one of the aforementioned starters. But if they don’t go after Manny — and that appears to be a foregone conclusion — where will they find that righthanded bat for left field? Certainly not from the farm system — the only position player close to MLB ready is Nick Evans, who was overmatched in his short stint last year. A trade would have to be made. But what do the Mets have available for a trade? Their organization is so low on valuable chips, it took four minor leaguers, three MLBers, and help from the Indians to obtain J.J. Putz. In order to make a trade for an impact bat, the Mets would likely need to orchestrate a similarly complex deal, or create another hole to fill. Naturally, the Mets won’t be trading Jose Reyes, David Wright, Carlos Beltran, Mike Pelfrey, nor Johan Santana. You can probably add Carlos Delgado to that mix, and it’s hard to believe they’d swap away John Maine — he’s needed for the rotation and his injury puts his stock at an all-time low. No one wants Luis Castillo, so forget about that idea. Ryan Church might have some value, but because of his headaches, his greatest value may be to the Mets. Pedro Feliciano also might draw interest, but then the Mets are without a steady lefty in the bullpen. At times this winter, there’s been talk of moving Brian Schneider, perhaps to the Red Sox but 1) will he be enough to bring back an offensive force, and 2) if so, where do they find a new starting catcher? Would free agent Ivan Rodriguez be an option? The Mets would need to move fairly quickly to swap Schneider and still have time to sign Pudge. Looking around MLB, there isn’t an abundance of available outfielders that fit the Mets’ needs. Righthanded hitters with some punch have become a rarity — which is why the Phillies were forced to add LH-hitting Raul Ibanez to their already lefty-heavy lineup. A quick look around turns up the names Eric Byrnes, Austin Kearns, Jose Guillen, Marcus Thames, Xavier Nady, and Gary Matthews, Jr., as players who might be available. Not exactly an awe-inspiring group, and yet most of them are probably unattainable in return for what the Mets have for trading chips. It might make sense to spin a youngster like Evans for a proven hitter stuck in AAA — someone like Matt Murton — or to take a chance on a guy who once showed promise, such as Gomes. But that doesn’t really upgrade the current situation of uncertainty in the outfield — rather, it muddles it further. There are only so many at-bats available in spring training to offer the likes of Tatis, Murphy, Evans, Jeremy Reed, Angel Pagan, Marlon Anderson, and whomever else is invited to ST.
Bottom line — unless their thinking changes in regard to the free agent pool, the Mets are likely to enter spring training with similar personnel as they have today. But of course, anything can happen.